Lock in a great price for Albergue Pereiro – rated 8.3 by recent guests! The front desk staff was very helpful and accommodating. Clean place with great facilities. Had a large kitchen and patio to relax. As a hostel, this had everything needed for a night’s sleep en route to Santiago de Compostela, being well sign posted on the way into the town, and at ten euros a night - it was a steal. Melide is on the way to Santiago de Compostela, so if you haven’t planned your nights, the receptionist recommended us a place to stay the following night. This hostel, like others has arrangements with companies which can transport your belongings to your next destination, so take advantage of it! It was on the Camino Route and had a good kitchen and sitting area .. Reception Staff, very helpful for disabled people. Great for pilgrims looking a bed wider than a sleeping bad (3/4), they have a fully equipped kitchen and wifi on the ground floor. The bathrooms looked renovated and clean. Bonus points for having lockers and mesh on the windows to keep the flies out! The beds were comfy and the rooms spacious. 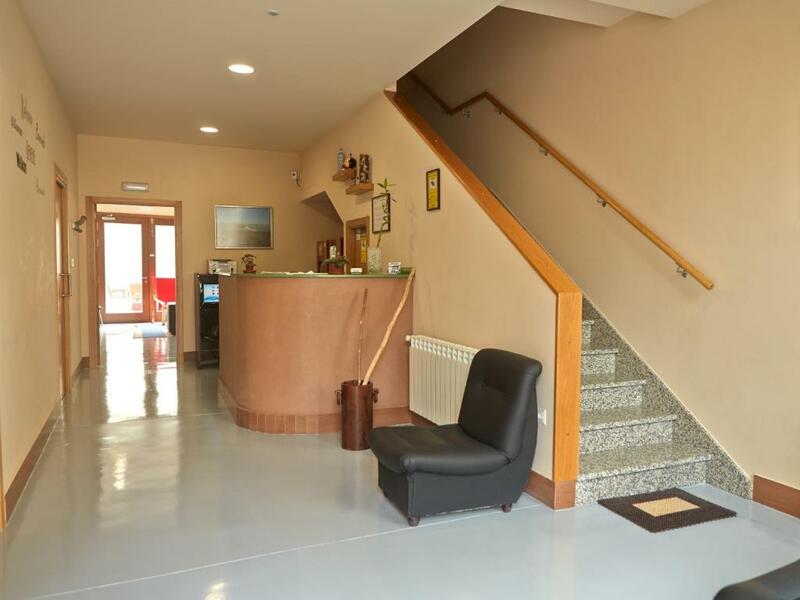 Albergue Pereiro This rating is a reflection of how the property compares to the industry standard when it comes to price, facilities and services available. It's based on a self-evaluation by the property. Use this rating to help choose your stay! 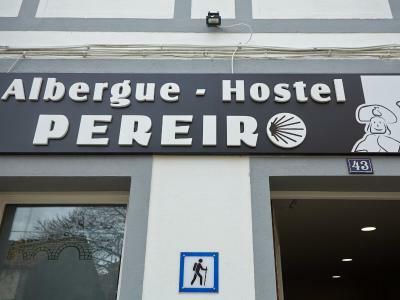 Albergue Pereiro is a hostel located in Melide. Free WiFi access is available. 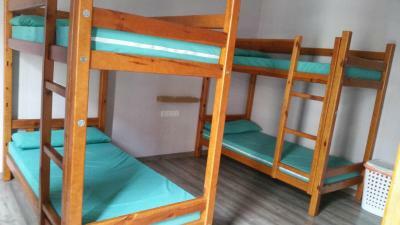 Each bright dormitory room has heating, as well as a balcony and a terrace with views of the city. Guests have access to a shared bathroom with hairdryer. 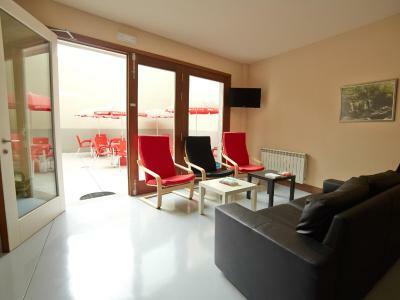 At Albergue Pereiro you will find a terrace and public areas like a shared kitchen and a shared lounge with TV and vending machines. Tourist information and luggage storage can be provided at the reception. Free parking is available. 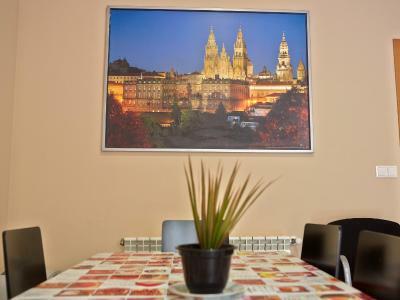 Transportation to Santiago de Compostela Airport, 27 mi away, is available for a surcharge. A Coruña is over an hour by car. When would you like to stay at Albergue Pereiro? 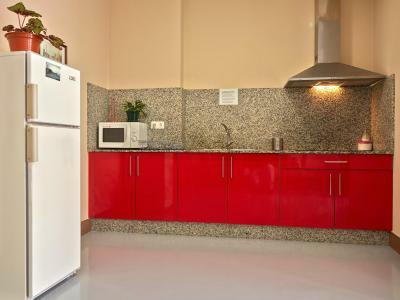 House Rules Albergue Pereiro takes special requests – add in the next step! Albergue Pereiro accepts these cards and reserves the right to temporarily hold an amount prior to arrival. 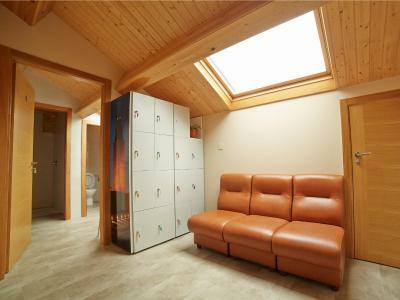 The shower room, toilet bed and kitchen. Has a foot massage machine! Young lady on reception was rather dour and unfriendly. Good on location and price. Very clean. The wifi was not working properly which is one of the elements I booked the hostel for. 10pm curfew, but not much to do about that! Probably best to get sleep anyway. There was no air conditioner and the receptionist didn’t even care about our complaints. It was horrible! After a day walking you expect to get to a cool place...not the case. Even the drinks in the vending machine were warm. I wouldn’t recommend it, for the same price you have better options. There’s no kettle in the kitchen area, so making an instant coffee or cup of tea is not possible. Check out time, perhaps is a little earlier than I’d like.